Thought I would add a little entertainment for you today with some funny Video’s based around the flying hairdryers,- yes, them there Scooters! Every Rocker likes to have a dig at these machines and I am sure the Mods do the same about us, remember, My Girlfriend has a Scooter so this is all tongue in cheek and thought it would make for some fun viewing. Now Below is something that may raise an eye brow or two, how about a Hovercraft scooter? just in case the Rockers chase you in London and you can get away across the Thames to freedom! So here is the Proto type of that Amphibious Scooter. 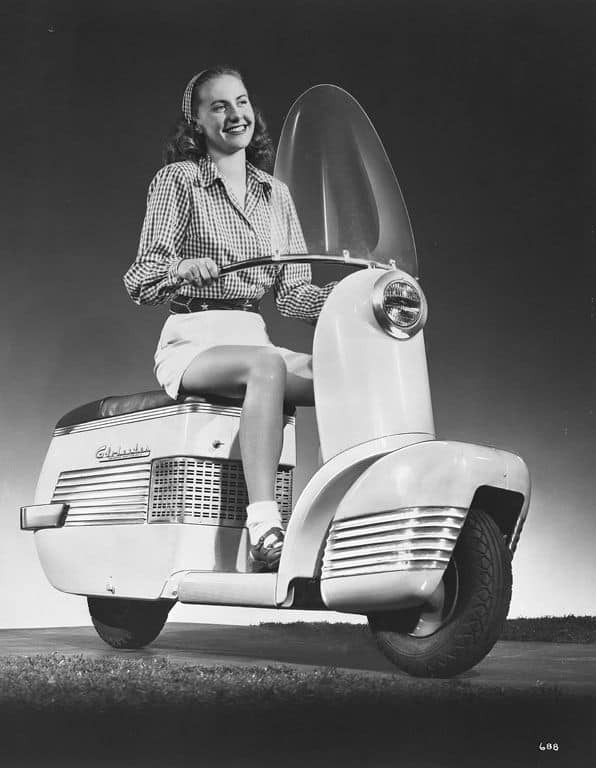 Below is a 1954 Proto-type that I am sure my Girlfriend Jennifer would love to own and ride to some events. In days of old when Scooterists got cold they would dress up as Knight of the round table and joust each other!!! OK, back home we have many beaches being that we are an Island etc, but Most people think of Mods with Brighton beach etc, but a popular and I use this word in pun- Retreat, was at Southend On Sea and this little video shows a Rally in 1964. And it is on Color too. 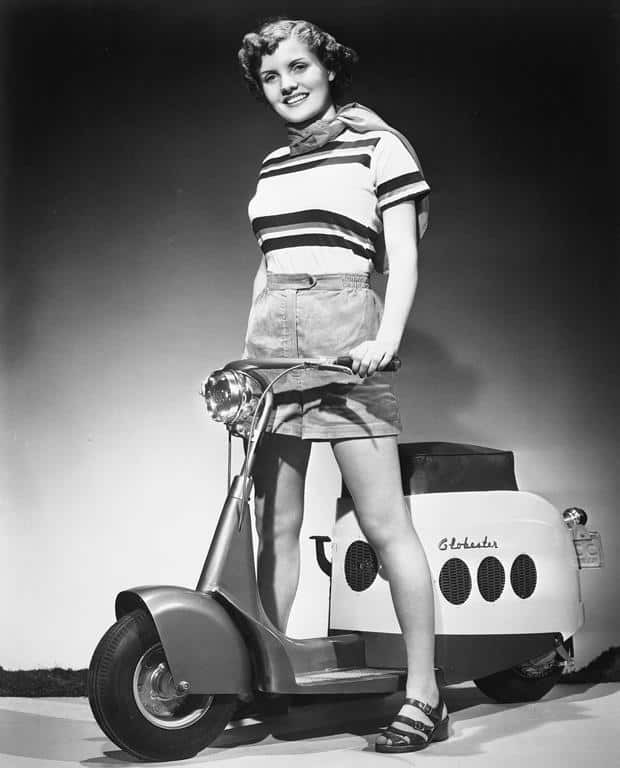 In 1956 there were some cool things happening in the Globe, Elvis came about and was Rocking the world, Chevy Bought out the cool 2 and four door Belair, but back home in Middlesex, well, some planks decided that they would build Scooter water craft and attach string to the handle bars as reins! Now as we have much history in our little country, you are bound to have heard about the Battle of Hastings in 1066 right? Well later on in 1955 there was a small battle going on, you could see smoke, was this a big fire? Was it a big BBQ? Had we arrived in London to all that Smog? No- it was the 2 stroke motors of the little scooters all competing from all over Europe to who could ride in a Circle!!!! 1964 this time and a short video of a bunch of out takes as these ring-a-Dinga’s have a go off road. Well I hope some of these videos made you smile or laugh or cringe, I dont know whats more funnier, watching girls on scooters on the water or watching Franz Reichelt jumps off the Eiffel Tower in a parachute coat! 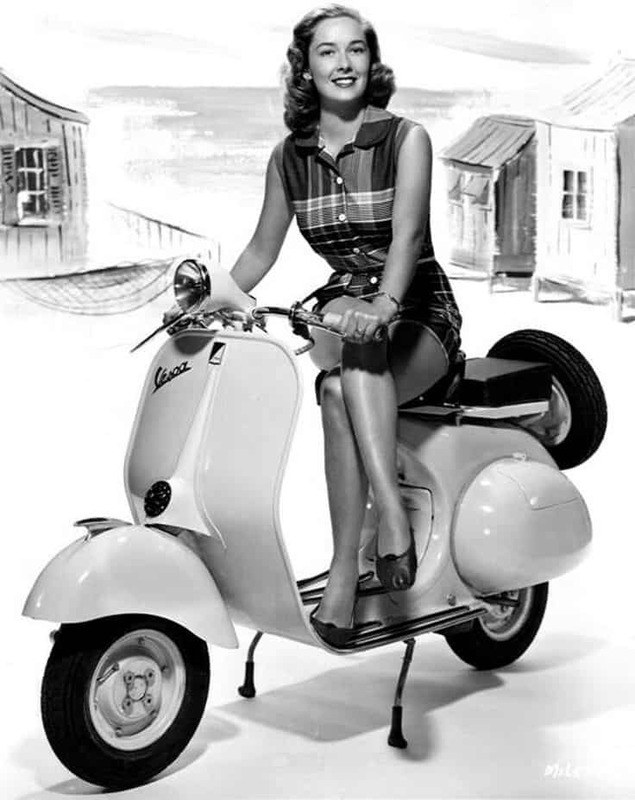 This entry was posted in Blog and tagged 1960's the who, lambretta, mods, scooter, vespa. 59 Club Ride out to Ruby’s Cruise Night in Whittier this evening.